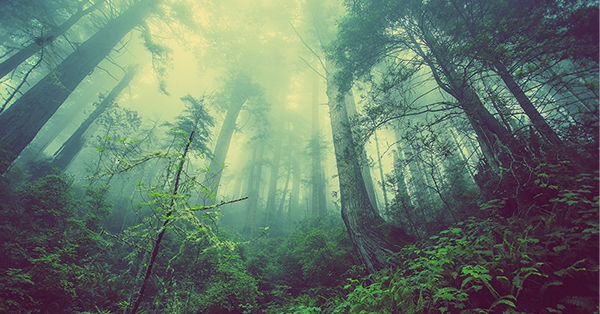 A green tinted photograph of a temperate forest that was taken looking upward at the tops of the trees disappearing into the fog. Image by Free-Photos from Pixabay. Inspired by mythology of the fairy realm and the fey, the Other Realm is a fragment of the First Creation that escaped its destruction. This beautiful and dangerous place connects to Crossroads in a few magical gateways. Anyone able to find one of these gateways can cross into the Other Realm, but be warned, the Other Realm is shaped by the will of its Three Rulers and it follows its own laws. The Other Realm is a large piece of the First Creation that escaped its destruction. Three beings of immense power rule this realm, shaping the unstable Essence it is made from with the power of their thoughts. Together these Three Rulers give the Essence of the Other Realm stability, a stability that prevents the random thoughts of its inhabitants from causing it harm. However that doesn’t mean that the Other Realm is unchanging. As the Three Ruler’s thoughts change, so too does the land, molding itself to their will. It is believed that the Three Rulers are actually beings from the First Creation whose combined power saved the Other Realm from destruction. Yet this is only speculation because next to nothing is known about them. No outsider has ever seen them and the inhabitants of the Other Realm only ever speak of them obliquely. Even their names are unknown. The only thing that outsiders are sure of is that one ruler is a king, one ruler is a queen, and the third ruler is a sovereign. Their three palaces have been glimpsed from afar. High up, at the top of the Crystal Mountains, the king of the Other Realm resides in a gleaming silver palace. Because of this, outsiders call him the Silver King. Meanwhile, deep in the heart of the Trackless Forest, the queen of the Other Realm lives in a spiraling palace of green and red jasper. She is known to outsiders as the Jasper Queen. And, in the luminous waters of the Submerged Islands, the sovereign of the Other Realm dwells in a rainbow palace of living coral. Outsiders know them as the Rainbow Sovereign. Although the Other Realm exists separately, it touches Crossroads in a few places. The best known of these are deep inside the Misty Woods. There each point of contact forms a gateway, allowing people and goods to travel between the two realms. Interestingly, even though these gateways are marked by a magical mist, this mist does not stop knowledge or goods from passing back and forth, though it does make the journey more perilous. Travel between these two realms isn’t easy, especially for those residents of Crossroads who wish to visit the Other Realm. You see, the Other Realm existed before the Laws of the Gods, so it knows nothing of them. Instead the Other Realm follows the laws of its Three Rulers: the Law of Life, the Law of Increase, and the Law of Bargains. The Law of Life gives every object in the landscape a consciousness of its own. This means that the landmarks can move at will and paths frequently change directions. Meanwhile, the Law of Increase requires any outsider who wishes to leave the Other Realm to give its Three Rulers a valuable gift. This law also causes any outsider unwise enough to eat or drink something from the Other Realm to become trapped there. However, the Law of Bargains does offer an escape for those who have run afoul of the Law of Increase, but that escape always comes at great cost. Despite these dangers, rumors abound of the many wonders to be found inside the Other Realm. There are said to be fountains that flow with healing waters, a rainbow desert of dancing sand, a gemstone forest, caverns full of stars, clouds that change color depending on their mood, and an endless library that has a copy of every book ever written. Others say that there are rivers of singing water, rolling hills of pink grasses that chime in the wind like bells, a violet swamp that exists in eternal twilight, sunset-colored mountains so steep and smooth that they are impossible to climb, and a lake that reflects glimpses of the future. Still others tell stories about meadows of flowers that flutter through the air like butterflies, a hidden valley where the breezes whisper secrets to each other, a magic pool with water that turns everything that touches it to gold, and a memory tree with fruit that allows anyone who eats it to experience a moment in history as if they were there. It is unclear how many of these rumors are true, but the temptations they represent, and the dangers they hide, are real.